It arrives as both throwaway moment and photo-historical anachronism: dozens are adorned in white on a sand dune, whiling away the hours before dusk; a girl is passed a 19th-century stereopticon, brings it to her eyes, and sees images in motion—glimpses of a city on “the mainland,” an urban environment of horse-drawn carriages and mustachioed street salesmen. 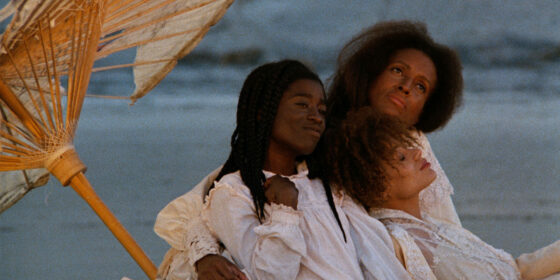 Theirs are the only white faces to appear in Julie Dash’s ensemble psychodrama Daughters of the Dust, which centres on the women of the early-20th century Peazant family, Gullah people based in South Carolina’s Sea Islands, descendants of “saltwater Africans” believed to have been captured from West Africa. 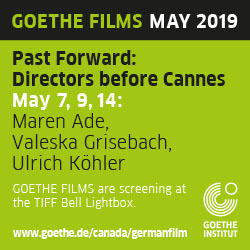 The film sees the clan assemble for a celebration on the eve of a northward migration, but the moment’s optimism finds itself tested by Nana Peazant (Cora Lee Day), who refuses to leave the home village in Ibo Landing. Daughters voices (if not entirely embodies) conflicting sentiments between two narrating generations: Nana is one, the other is an unborn child (Kai-Lynn Warren)—visible through a camera viewfinder, but not to the naked eye—who dips in and out of the story as if to bedevil its turn-of-the-century rationality. If Dash and cinematographer Arthur Jafa found themselves under pressure to counteract several centuries’ worth of historical erasure in the space of 110 minutes, it doesn’t show. Each of the women comprising Daughters’ beachside chorus must negotiate their own relationship to the departing/arriving family heritage, in terms either interior or verbal (via the film’s call-and-response monologues). While Nana is suspicious of abandoning the traumas of slavery, Eula Peazant (Alva Rogers), pregnant with the unborn child, comes to see her grandmother’s ideal of a “pure woman” as just that: something that never existed in Ibo Landing to begin with. 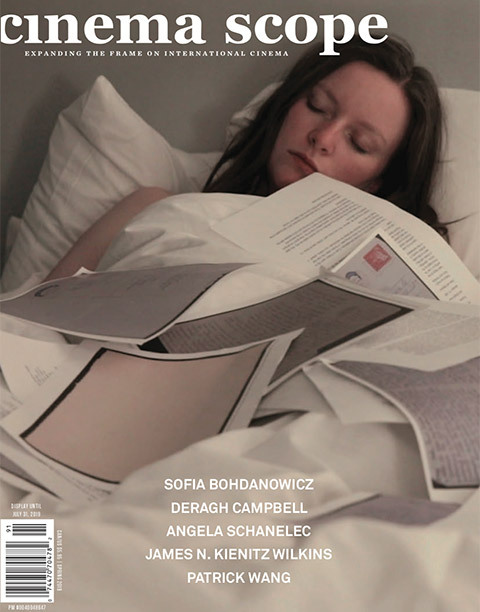 Dash stated in multiple interviews that she had the impending century on her mind while making Daughters: Eula’s unborn daughter quite literally functions as a medium, a next angel of history, brokering visions of past and present. Dissension between sound and image can at times produce a nagging question of a bigger story left in what the Peazants call (with a laugh) “scraps of memories:” when one of the sisters rides off with her lover on horseback in the film’s final minutes, a bereaved relative wails in anguish by the boat. At risk of viewing Dash’s film through a cinephilic lens, Nana makes a fascinating inverse of Jo Van Fleet’s Depression-era matriarch in Elia Kazan’s Wild River (1960), another hardened survivor who refuses to leave her island community—this time, in the face of a Tennessee Valley Authority dam project repped by a typically hapless Montgomery Clift. What forges Nana’s onscreen character is not the rugged individualism eulogized by Kazan’s period melodrama, but a tragic pessimism that can be traced back to the land itself, and the markers/memories of slavery. The deep indigo staining the characters’ fingers in Daughters’ first half saturates the entire frame in later passages, a seductive leitmotif for a whole generation’s retention of the memory of hardship. If extra-literarily literal, the speech is of a piece with the ’40s tropes Dash employs to weigh Illusions’ plotline against its subtext—against Mignon’s inner world altogether. Illusions uses the hoariness of studio-era filmmaking to interrogate several preconceptions about popular entertainment behind closed doors, and the failed promises of postwar progress. Even if Mignon’s code-talker movie did eventually get made (in the unfortunate form of John Woo’s Windtalkers ), Dash conceded to filmmaker Yvonne Welbon in 1991 that it was highly unlikely for a black woman of Mignon’s power to ever exist in Hollywood, either then or five decades later. Just as Daughters is at once a foreign film that’s inalienably American, Dash’s screenplay allows the camera eye to visit overlapping spaces in memory and space in fell swoops—per Eula, a cathartic recognizing of a lineage that has made it possible to “see in more ways than one.” This refractory idea is interrogated even more sharply in the 30-minute dance film Praise House (1991)—made by Dash with the group Urban Bush Women for Twin Cities public television just after Daughters—wherein a young black woman literally convulses at her mother’s gravesite, possessed by the burdens of history and consoled in performances that span three generations of hardship. As with Daughters, what’s political about these images is the void of cinematized memory against which they cushion themselves: Dash’s feature debut is that rare “history film” that knows images lie, yet provides a wealth of them anyway. The scads of repertory packaging aligning Dash’s film with Beyonce’s Lemonade provoke a fascinating conundrum: if we are seduced by these Tumblr-ready tableaux at the behest of the film’s text, everything that was radical about Daughters of the Dust in 1991 will remain so upon its re-release.